In the midst of the divisions within today’s church and society, we will study Paul’s first letter to a divided Corinthian church. We will seek to understand the cultural, sociological, and religious context of the letter. We In the midst of the divisions within today’s church and society, we will study Paul’s first letter to a divided Corinthian church. We will seek to understand the cultural, sociological, and religious context of the letter. We will explore the theological issues in the church in Corinth with a special emphasis for the implications for the life and ministry of the church today. Conflicts often have a crippling and devastating impact on both an individual and the broader community. Yet, Jesus challenges us to be peacemakers who are called upon to manage or resolve conflicts. This course will be both theological and practical with the former shaping and influencing the practical dimension of wisely responding to conflicts. In order to do so, a necessary biblical foundation will be established regarding the nature of conflict, reconciliation and peacemaking. 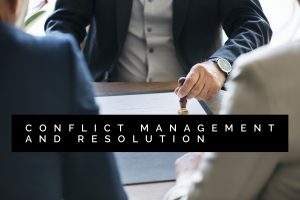 In addition to a Scriptural foundation, the course will also examine the various types of conflicts, dynamics of conflict, models of the conflict cycle, and approaches to manage and resolve conflict at various levels. This course will consider the history of Christianity from New Testament beginnings until about 800 CE. Church history will be studied within social, political, economic, and cultural contexts. Our overview moves from the Early Church, through their theological controversies and until the beginning of the Middle Ages. This course will be largely online, with weekly readings, assignments, and discussions. We will meet twice during the term, time and place to be arranged. Thursdays evenings at 6:30 P.M. Here you will find the full list of courses taught in the past and present at New Theological Seminary of the West. In this two quarter course, even though we begin with the Old Testament, we will continually keep in mind the whole Bible. In highlighting the themes emphasized by the authors of each book, we will examine questions of authorship, historical context, literary style, and the distinctive contribution of each writing in the salvation history leading to Jesus Christ. The purpose of this course is to study basic moral principles in a Christian perspective and their implications in Christian theology, with discussions of various ethical/moral systems and case studies in moral problems and current issues in personal and social ethics. The focus will be the historical background of the New Testament, the nature of the Gospels, and the contribution of each book to our Biblical and Theological understanding of the faith which we proclaim and practice as the church today, the Body of Christ. This course presents an overview of the First Testament/Hebrew Bible commonly known as the Old Testament with a particular emphasis on the formation of the biblical literature and the background of the culture and history of ancient Israel. Special attention will be paid to the literary structure of the biblical narrative and the social history of the biblical tradition. Implications for theological reflection and ministry will also be explored. The Old Testament Book of Psalms is perhaps the most important book of the Bible for ministry. The New Testament quotes the Psalms more than any Old Testament book. Jesus shapes his Kingdom work from the Psalms. The church’s worship and spiritual formation takes root in the Psalms. In this class we will learn (1) the content, literary features, and theological message of the Psalms, (2) the historical and cultural setting of the Book of Psalms (3) how to interpret various psalms moving from a psalm text to whole Bible context and then to our context (4) to pray and sing the Psalms for worship and spiritual growth. This course will introduce the prophetic books of the Old Testament, with attention to the prophets’ calling, message and ministry, their historical setting, and the formation of the books that bear their names. These writings occupy a crucial place within the Old Testament and in the grand sweep of scripture, as they bear witness to Israel’s “death” and “resurrection.” We will explore the essential contribution they make to our understanding of God’s freedom, justice, commitment, passion, holiness, and steadfast love. Our study will yield some fresh discoveries of the prophets’ urgent relevance for our lives and our world, including the areas of social justice, idolatry, spiritual integrity, and hope. In our class meetings we will make use of both broad survey and more detailed investigation of key passages, as well as spiritual practices, discussion and reflection. We will also participate in two outside ministry experiences that implement some key parts of the prophets’ message. In this course, we will study literary, historical and social readings of the book of Daniel. Other apocalyptic writings, including the book of Revelation, will be examined in light of sociological dynamics that are believed to shape the apocalyptic. Theological and political implications of contending interpretations of Daniel will also be explored. This course is designed to review the essential components of the Greek New Testament Grammar and syntax in their use for Biblical exegesis and interpretation Emphasis will be placed upon the factors of language, history, culture, context and their importance for the understanding of the text. An additional emphasis will be the practice of moving from exegesis to exposition and sermon preparation. The practice of our Christian life and witness depends to a large extent upon our understanding of the Gospel, the person of Christ, the function of the Holy Spirit and the spiritual practices such as prayer, forgiveness, and so on. Luke, in his Gospel, introduces us to the person and ministry of Jesus. In this seminar we will explore the mission of His ministry, the nature of salvation, and the practices designed to help believers build healthy, loving, giving relationships and be effective witnesses to the love of Jesus. Our immersion in the Gospel of Luke will have a dual focus. We will read the content of this Gospel with a focus on its key themes in presenting Jesus Christ as Lord of history and the Christian’s exemplar. The seminar will give attention to the political, sociological, and geographical context of the first century CE. We will also work together on how one might facilitate the learning and teaching of Luke for different audiences. Wherever you are on your journey with the Bible—you are welcome. We have in our Bibles four Gospel stories about Jesus Christ: Matthew, Mark, Luke, and John. Anyone who has read the accounts knows that they differ in the events they present, in the order of the events, and in the characterization of Jesus himself. Yet the church over the centuries has kept the four separate stories in spite of attempts to harmonize the differences. As early as the 2 nd century a church father named Tatian attempted to pull the stories together and give us one story of Jesus. He called his story The Diatessaron, “the four through one.” The church rejected his harmonization. To this day we live with four Gospels, four stories, and one Jesus. How did we get these stories? What are they meant to tell us about Jesus and about our faith? How can we continue to read them so that the Holy Spirit speaks to us? Using symbolism (human, lion, ox, and eagle) arising in the 2 nd century, we will explore these stories and address many questions regarding Jesus and those who wrote about him. Professor: Jeff H. McCrory, Jr. In the midst of the divisions within today’s church and society, we will study Paul’s first letter to a divided Corinthian church. We will seek to understand the cultural, sociological, and religious context of the letter. 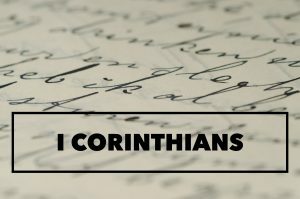 We will explore the theological issues in the church in Corinth with a special emphasis for the implications for the life and ministry of the church today. 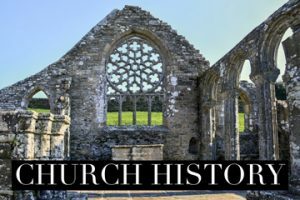 The history of Christianity from the second to the sixteenth century will focus on the beliefs and practices of significant individuals, movements, and institutions. We will explore Christianity in the West (Europe and North Africa) and in the East (Eastern Mediterranean, Slavic peoples, Asia). We will ask about Christianity’s engagement with Islam before 1500. Special attention will be given to: (1) The authority and role of the Bible; (2) Early Christian missions in the Americas and Asia. In this seminar each participant’s life and faith experience is valued. The goal is that through our immersion in Christian History we can live into a more informed participation in our respective faith communities, both locally and globally. This class will survey the important themes and people in the Western Church from the late Middle Ages through the Reformations to Pietism at approximately 1600. We will explore the environment, movements, and significant personalities in the development of the Christian Church, since it is foundational for the Christianity we experience and express today. It is hoped that this course will promote a faithful love for and personal engagement with today’s Church through developing a familiarity with the issues and practices of Christianity as it was taking shape in the Medieval and Reformation eras. Exploring our past, for both its wisdom and follies, informs how we engage Scripture, one another, and the world in the next chapter of God’s life in the world. Women Christian Mystics offers a deep and rewarding study of women who until recently were forgotten or neglected. Catholic mystics Hildegard of Bingen, Julian of Norwich, and Teresa of Avila, as well as lesser known Protestant women Anna Maria van Schurman and Lillian Stavely, write out of their feminine experience their sense of God’s presence and the practices they develop from these encounters. In each session we will engage in a spiritual practice derived from these women mystics as we seek to enrich our own understanding of and connection to God. In this class, we will consider the forms of devotion—the “prayer techniques”—that have helped Christians over the years to develop that sense of the presence of God. Our analysis will hinge on two categories of prayer: cataphatic and apophatic prayer. We will examine the “cataphatic” approach by learning of methods of prayer expressed in Scripture, poetry and other types of “word” prayer. We will also consider the apophatic approach, which has included wordless prayer, silence and solitude to find and unite with God. This class will examine both approaches by reading works written by or about both ancient and modern Christian prayer exemplars, including: Gregory of Nyssa, Julian of Norwich, Teresa of Avila, John of the Cross, Brother Lawrence, Jonathan Edwards, Simone Weil, and Howard Thurman. We will also read some of the more obscure experts on prayer, including the Eastern Orthodox monks who originated the Jesus Prayer and the practice of hesychasm, as well as the Western monk who composed the Meditationes Vita Christi and the Puritan authors of the Valley of Vision. How is theology – the “word about God” — constructed out of Holy Scripture, Christian tradition and faith experiences? In what ways does the local church context shape theological thinking? In this course, students become acquainted with classic theological thinking and contemporary theological movements. With this foundation, students focus on the theologyfound in their churches within the diversity of Southern California. The course offers an analysis of the complex interrelatedness of Judaism, Christianity, and Islam. The aim is to present these religions as living traditions whose historical origins, current interactions, and future development is the dynamic context for ministry in the multi-religious world of Southern California. To acquire a grasp of the internal ethos of each of these traditions, renowned scholars and recognized leaders will be guest presenters. The Spirituality and Aging Certificate program, developed in tandem with NTS West and the be.group, enables participants to gain an understanding of the essential role of spirituality and how spirituality enhances the efficacy of other health care and congregational services to and with older adults. A revival of interest in Celtic art, history, and culture has led to the rebirth of a spirituality that is rooted in the sacred geography of these Celtic peoples. “New” Celts such as John Philip Newell and John O’Donohue can teach us a spirituality that is creation-centered and embodied, that nurtures connection and community, and that draws wisdom from many sources. This two-part course will be taught by the Rev. Dr. Rebecca Prichard who has lived and worked in Scotland teaching Celtic Spirituality in the US, in Scotland and New Zealand. A theologian and pastor, Rebecca was ordained in 1988 as an assistant Minister in St. Giles’ in Edinburgh and has taught at San Francisco Theological Seminary, Christian Theological Seminary, Whittier College, Chapman University, and NTSW. Rebecca is also a practicing calligrapher with a special interest in the Celtic Gospel books. As an Associate of the Iona Community, her many contacts in Scotland will enhance the pilgrimage we will make together. This course will be an investigation of the theories, qualities, and practices of Christian leadership. It will be based on principles in Scripture and other related sources including literature and assessments. Self-reflection and assessment of leadership skills, strengths, and style, will be conducted with attention to developing a personal philosophy of spiritual and transformative leadership. We will examine the practice of Sabbath-keeping in the context of a four-hour retreat to a local retreat center. As we explore belief and practice, we will look for the intersections between doctrine and discipline while we seek ways to deepen our belief and shape our spiritual formation. Christian beliefs and practices are inseparable in the formation of Christian identity. One cannot be a Christian without believing in certain basic doctrines, yet neither can one be a Christian without participation in certain essential practices. While one’s Christian beliefs inform his or her practices, one’s Christian practices not only can inform but can deepen one’s beliefs. In this course, we will examine four basic Christian doctrines—the doctrines of God, of Christ, of the Holy Spirit and of the Trinity, while we also examine five basic Christian practices: prayer, Bible-reading, communion, praise/gratitude and Sabbath-keeping. The purpose of this course is to teach the fundamentals of a lay counseling ministry in the local church. These consist of an appropriate counseling methodology; a basic understanding of the kinds of problems parishioners bring into a church setting; and a clear delineation of the limits of this ministry, both morally and legally. The latter concerns issues of referral, diagnosis, and levels of competency. For those seeking ordination, this class will also provide a thorough examination of the ministry of pastoral counseling. This course will consider the history, theology, and practice of Christian worship. An ecumenical approach will allow students of various traditions to see how they fit into the grand celebration that is the worship of our Triune God. Along with history and theology, we will plan and lead worship within our class sessions. The course will try to cover the basics of pastoral leadership and lay participation in the sacraments of baptism and eucharist and in other rites of the church such as marriage, burial, confirmation, and ordination. The role of music in worship will be part of each session. “Two of the great hungers in our world today are the hunger for spirituality and the hunger for social justice. The connection between the two is one the world is waiting for.” This class aims to address that very connection. Although a meaningful spiritual life and social justice are both significant topics for the church and society today, few explore the crucial link between the two. Yet this link is where lives can be transformed. The lives of deeply religious people, on the one hand, show that, as their spiritual life deepens, a deeper interest in the welfare of others is a natural outgrowth. On the other hand, for those interested in perpetuating needed social change, a deeper spiritual life is vital to avoid burn-out. Beyond mere self-care, spirituality prompts the activist to transform his/her goals from a movement against a particular social ill to a movement toward deeper goals of hope, love and reconciliation. The leadership of Howard Thurman, Martin Luther King, and Sojourner Truth exemplified this principle. In sum, a focus on spirituality both builds and sustains movements for social justice, allowing all to work from and for God’s love. Why do we suffer? If we are suffering, are we falling short? Does God use suffering? Can we draw closer to God through our suffering? What about the times when we are overwhelmed by suffering? Does God suffer with us? Although we typically think of suffering in terms of physical pain, suffering can take many forms, including emotional heartache, relational isolation, and spiritual alienation. Some believe that if we are suffering, we are failing in our Christian life. Yet, suffering is built into the very fabric of our faith through Christ’s suffering on the Cross. Tim Keller says, “Suffering is actually at the heart of the Christian story.” Christ’s suffering is redeemed in the resurrection. Is there a way that our suffering can be redeemed as well? In this class, we will read from Scripture– including Job, the Psalms, the Gospels, and Paul–as well as works by C.S. Lewis, Thomas Merton, Julian of Norwich, Teresa of Avila, John of the Cross and others as we seek to understand the role suffering plays in our lives. The Bible exhorts the faithful to pursue holiness, that is, to grow spiritually. These same scriptures provide us with many tools with which to practice spiritual disciplines, that we might be more faithful and holy disciples of Jesus Christ. This course will study these tools and teach these practices. We will explore ways to enrich prayer and contemplation, to engage in lectio divina, and to foster practices of justice and peace. Culture is what we make of God’s good creation because we believe culture has the imprint of God. In this class we will explore basic theological tools for Christian engagement with different forms of cultural expression, including film, music, television, dance, visual arts, and sports. Our goal will be to think theologically about the cultural expressions we enjoy, and therefore discover how they can best be used to build God’s kingdom. A special invitation is extended to the many people in Southern California for whom the media in all its expression is their vocation. In reading the Bible, our native cultures are lenses through which we read and understand God’s Word for us. In Southern California, our congregations have members from diverse cultures. How do their cultural differences shape biblical interpretation? How do we read and teach the Bible faithfully while honoring cultural differences? In this seminar we will deepen our appreciation of the Bible and our understanding of the role of culture in shaping our reading and teaching of biblical texts. Our goal is to work together to develop strategies for finding unity amid diversity. This Practicum will examine how people with time-driven schedules, multiple commitments, and family, vocational and cultural challenges, make time in their lives for God. Students will be invited to examine the “real” world in which they live–work, study and worship–as well as their own “habits of the heart.” Working together we will identify particular ways in which our spiritual life can be nourished as we seek to live “in” Christ. Through creative class dialogue, informal community interaction, and selected readings, we will “stitch together a context” for understanding how busy people encounter and are encountered by the Holy Spirit. Faith-Rooted Organizing (FRO) offers an alternative to standard community organizing approaches in that it is shaped and guided from the ground up by the deepest beliefs and values of the Christian faith. FRO is designed to enable Christians to contribute our unique gifts to the broader movement for justice. Since the 1930’s, organizing movements for social justice have largely been built on assumptions that are secular in origin – such as reliance on self-interest and having a common enemy as the primary motivation for change. But what if we as Christians were to shape our organizing around all the implications of the truth that God is real and Jesus is risen? This model of organizing emerges directly from our Christian conviction and helps faith leaders to lead their congregations into “whole gospel discipleship” integrating evangelism, direct services, community development and community organizing as expressions of God’s love for the world. Students gain practices and tools that help inspire the church to work for a just, equitable and sustainable world. This seminar will develop a definition of leadership that comports well with Christian values and translates into practical application. It will provide a clear understanding of the elements required for successful leadership in churches and organizations and will enable participants to develop ways to be more effective in real case situations important to them. The objectives of the seminar: to enable participants to further develop the skills of leadership and gain the confidence to exercise effective leadership.